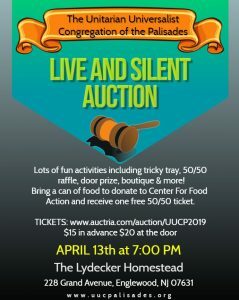 The UUCP Annual Service Auction is coming. Come Join Us for a night of fun and great bargains! 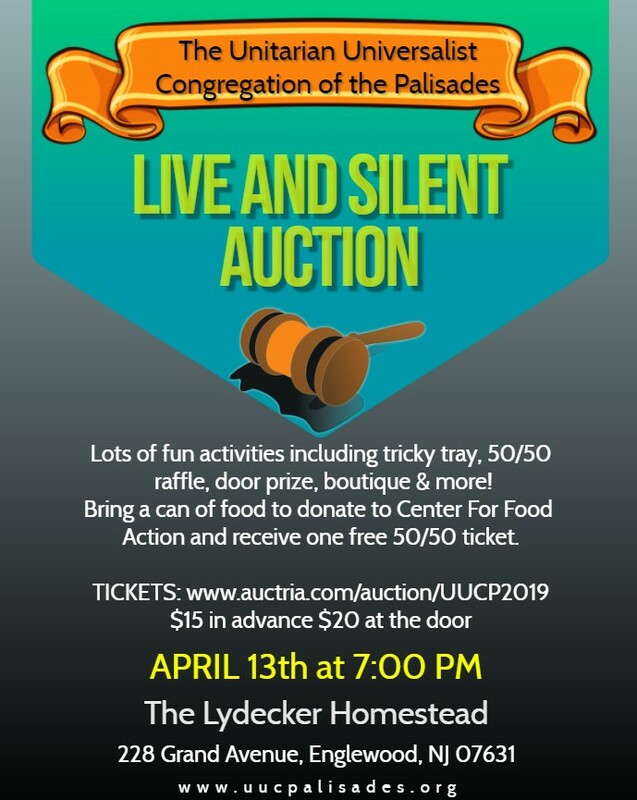 Silent and Live Auction, Tricky Tray, 50/50 Raffle, Door Prize, Boutique and More! Bring a can of food to donate to Center for Food Action and receive one 50/50 ticket!